Pentair hygienic Double Block and Bleed Butterfly Valves F250D/F251D (formerly sold under the brand Keystone) provide safe separation of incompatible fluids in a compact design. 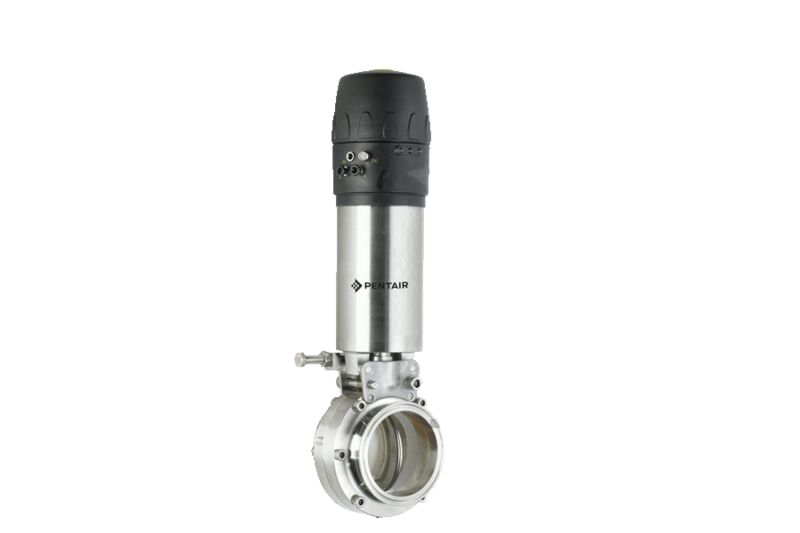 By integrating two butterfly discs and independent vent/drain valves into a common housing, this leakage detection butterfly valve completely isolates the self-draining leakage chamber with a single valve housing and actuator. Pentair hygienic Double Block and Bleed Butterfly Valves consists of two sets of standard F250 butterfly valve components arranged in series, within a single integral valve body, to provide an inline separation cavity when both valves are in the closed position. This inline separation of products is used to isolate non-compatible fluids (i.e. CIP/product.) 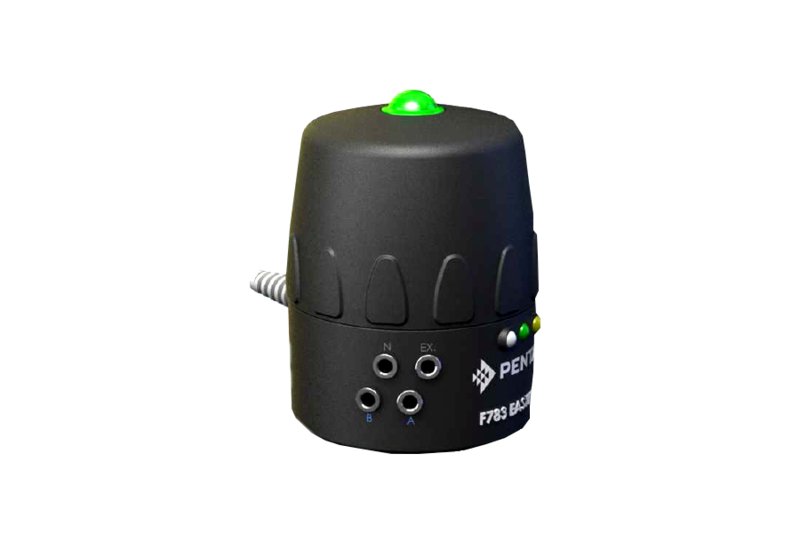 The separation cavity has two pneumatically interlocked poppet valves, tangentially opposed to provide for the introduction and draining of CIP or flushing liquids. Their position provides for a turbulent circular washing action plus facilitates a drain to atmosphere should either of the separate valve seats fail. The valves twin discs are connected by a linkage arrangement to the pneumatic actuator that simultaneously operates the pneumatic poppet valves. 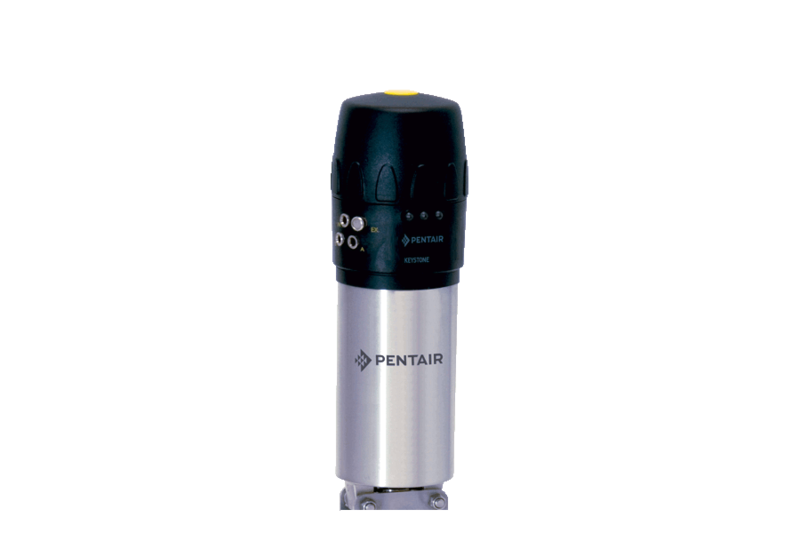 The unique design of Pentair Double Block and Bleed Butterfly Valve predestines it for isolation and safe separation of incompatible fluids, in the food, dairy, brewing, pharmaceutical and beverage industries. 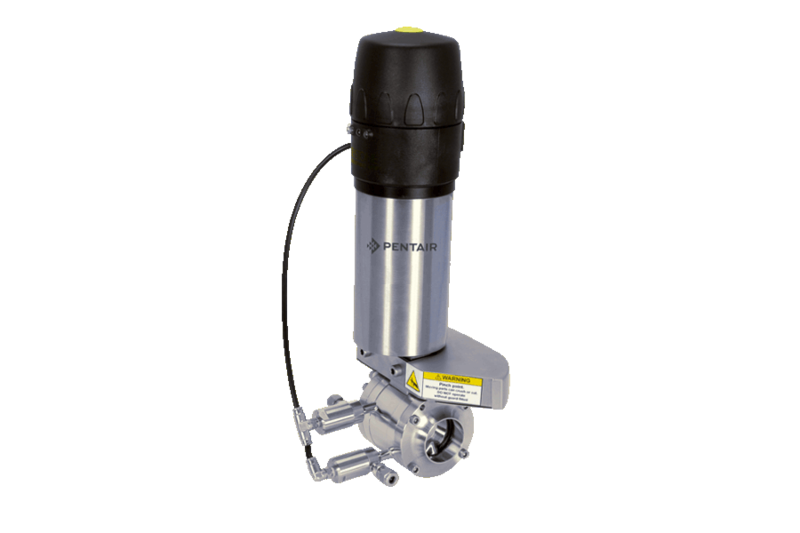 Pentair (previously Keystone) Comprehensive hygienic butterfly valve line features both manual and pneumatic drive options, including lockable handles and vertical actuators. 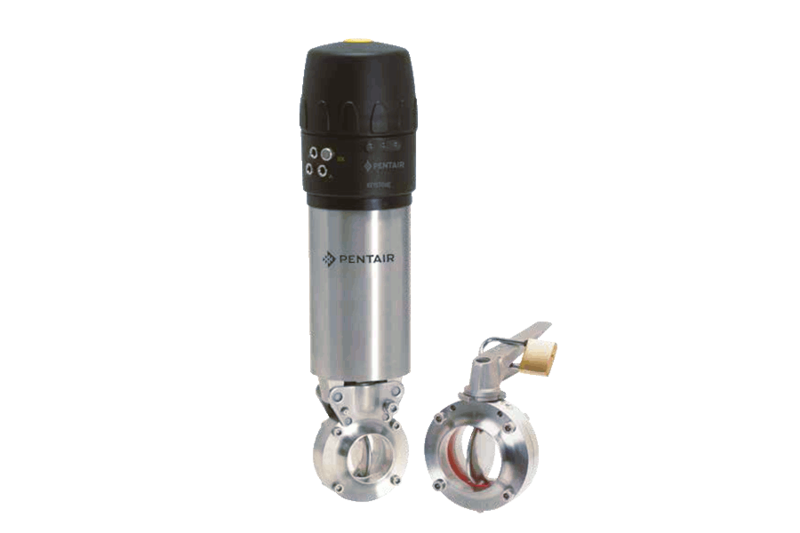 Pentair (previously Keystone) Powder Butterfly Valves for powder conveying/transport applications in food, beverage and pharmaceutical industries.